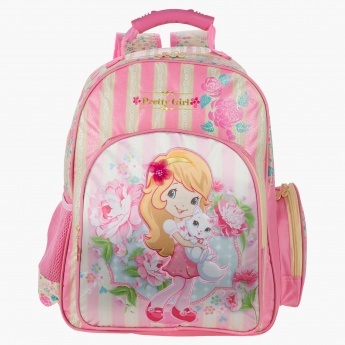 Flaunting a spacious design, this backpack is an ideal pick for your little one. 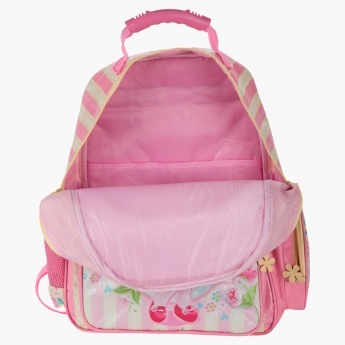 Crafted with dual shoulder straps, it is cushioned and comfortable to carry. 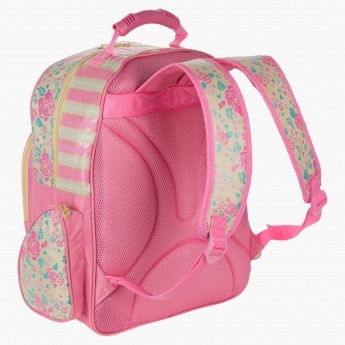 It has two zippered compartments, two side pouches, and a lovely print on the front.